Enjoy quiet country nights in the charming town of Youngsville while still only minutes from the conveniences of entertainment, shopping and restaurants! 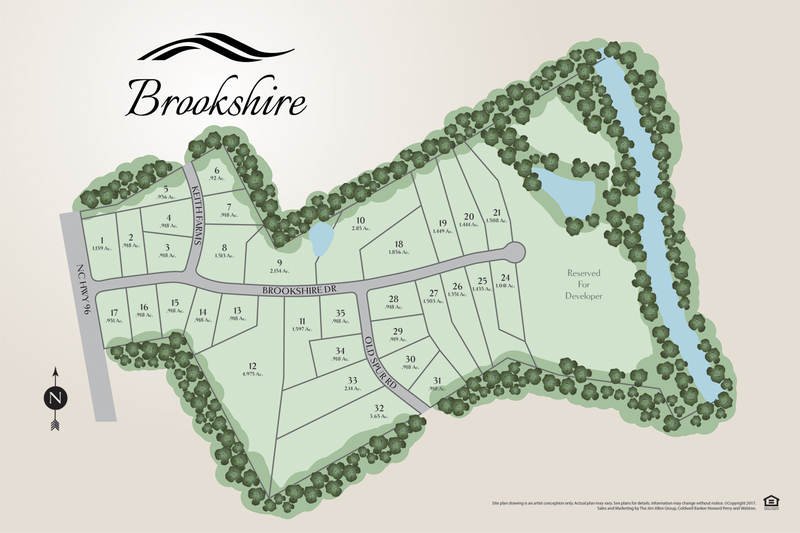 Nestled in a serene natural setting, Brookshire is located on US-96 in Youngsville, making it an easy commute to Wake Forest, North Raleigh, Franklinton, and Louisburg. Residents here enjoy the quality craftsmanship of a custom builder team that gives you the opportunity to create a personalized home to create a lifetime of memories. Each home is built with style and functionality while highlighting beautiful details for an exclusive lifestyle. Start Building your Custom Home Today! From Raleigh, Take US 1/Capital Blvd north past Wake Forest. Turn Right on Holden Rd. into downtown Youngsville. Turn right on Hwy 96. Travel about 2 miles and Brookshire will be located on the left.